Contact reidhelms@gmail.com for information on image licensing or high quality prints. 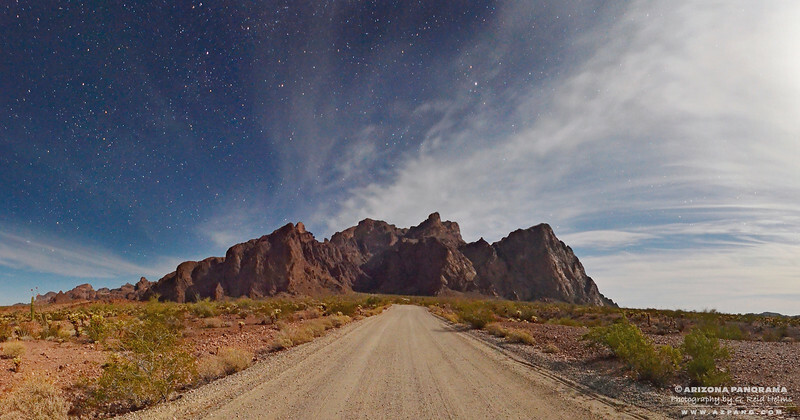 The Kofa National Wildlife Refuge by moonlight. This road leads to Palm Canyon and a grove of wild palms tucked back in a side slot of the canyon.